The measures that banks can take to protect cash machines from thefts involving heavy machinery are limited, so the public should remain vigilant to assist the police, a DUP MLA has said. Paul Givan said he would assume that the recent spate of ATM thefts is “a top priority” for the PSNI, but believes the local community has a role to play in catching those involved. Shortly after 3am on Saturday, thieves used a digger to remove the cash machine from a SPAR premises near Moira, just over 24 hours after a similar raid on an Asda store in Antrim resulted in the theft of two ATMs. Mr Givan has praised the owners of the Glenavy Road Spar for their speed in restoring services to the community. “They have turned it around quicker than most people expected,” he said. The Lagan Valley MLA said he has made enquiries to ensure that everything possible is being done to prevent this type of crime. Police are investigating a possible link between the Moira incident and the forced removal of two ATMs from the Asda store on Antrim’s Ballymena Road. 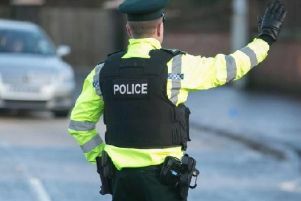 Following the two weekend thefts using diggers, the chief executive of Retail NI Glyn Roberts called for the establishment of a special police task force to protect such a vital community service. “With so many bank branch closures in rural towns and villages in recent years, our members’ ATMs provide an invaluable service to their local communities,” he said. Mark McCammond, retail director at Henderson Group which owns the SPAR franchise in Northern Ireland, said: “After the theft of the ATM at SPAR Glenavy Road, we were on site immediately and assisted the PSNI with their investigations. Mr McCammond added: “Furthermore, by 6.45pm that evening, all other facilities were made available for shoppers including the fuel forecourt.